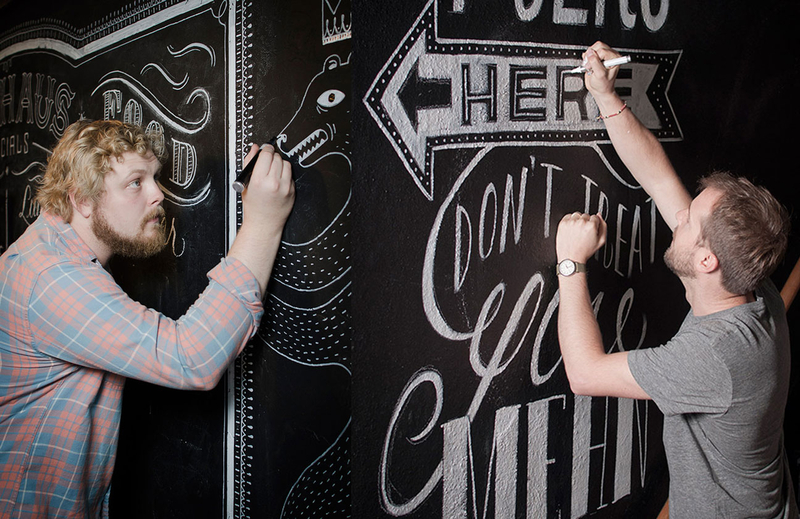 This project was awarded a spot in the Type Directors Club Annual in 2013 (TYPOGRAPHY 34) and was featured in Uppercase magazine issue #16. The following text from that issue was written by my friend, Amanda Spielman. “Being a designer/illustrator/educator/parent should be more than enough to fill anyone’s waking (and sleeping) hours. Not so for the tireless and prolific Ryan Feerer, who in early 2012 added restauranteur to his resume. 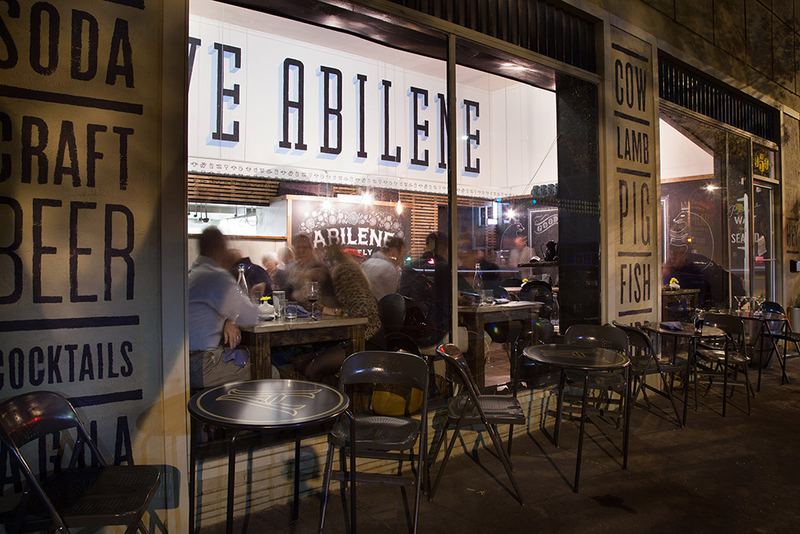 After several years of living and working in NYC, the native Texan returned home to the small town of Abilene and realized he missed the dining experience he had in New York. Feerer wanted his fellow Abilenians to enjoy not just great food, but also a unique and beautiful atmosphere. When his friend and former US Airforce pilot Jimbo Jackson approached him about opening a restaurant, Feerer jumped at the opportunity. 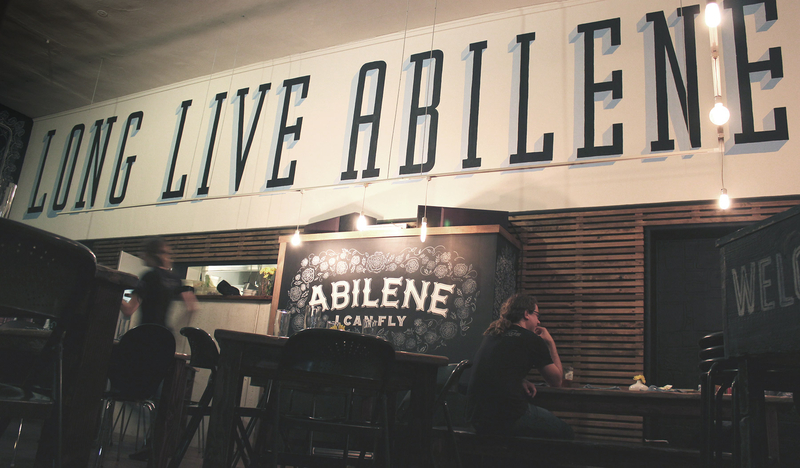 Once a space was acquired in the heart of downtown Abilene, Feerer called on his friends (and fellow Texans) in New York, Jeff Rogers and Dana Tanamachi, to come help realize his dream. In late summer, their schedules miraculously lining up for a limited time, the three artists gathered in the space. Feerer, still covered in dust from construction, cranked up the music as they began to sketch all over the walls with chalk. They needed to get a sense of what would be possible in just a few short days. “It was truly a collaborative and exciting project,” says Rogers.